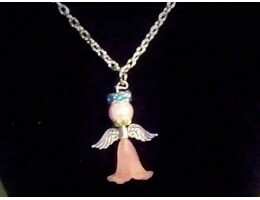 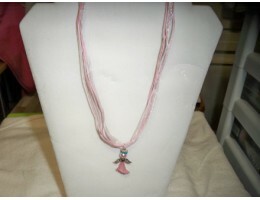 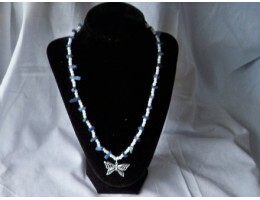 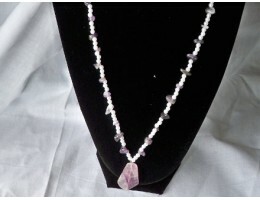 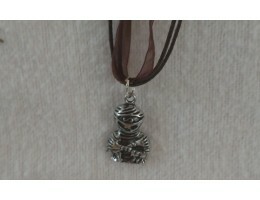 Handmade necklaces in a variety of materials. 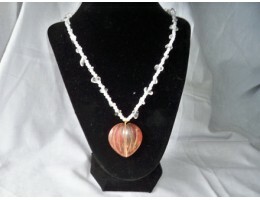 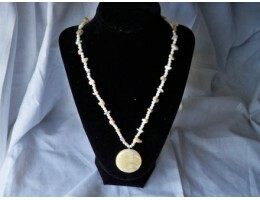 This pretty necklace is created from a round agate disk surrounded by small white pearls and Crazy A.. 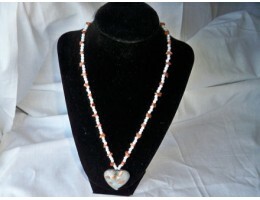 This stunning necklace is made with a red-tinted glass heart, surrounded by small white pearls and C.. 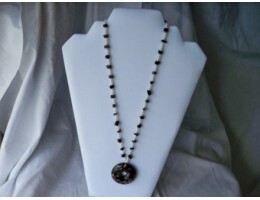 This lovely necklace is created from Goldstone gemstone chips and small white pearls surrounding a w.. 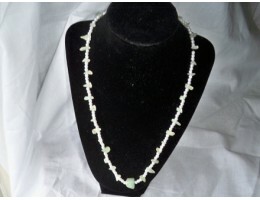 Here we have a simply delightful necklace crafted of Green Aventurine chips, small white pearls, and.. 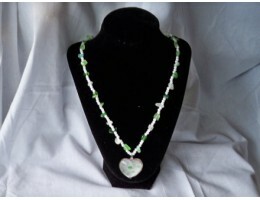 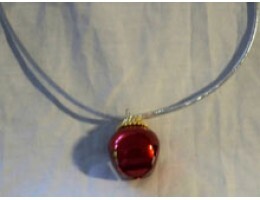 This lovely necklace is created with a heart-shaped glass pendant in the center, surrounded by small.. 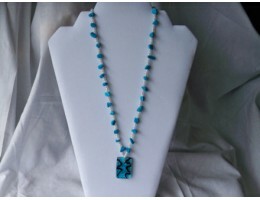 This is a charming necklace featuring a rectangle blue glass pendant surrounded by small white pearl.. 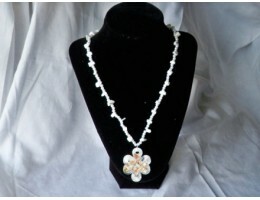 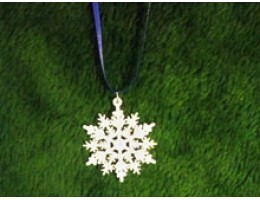 This stunning necklace is created from an oblong white flower-shaped glass pendant surrounded with s.. 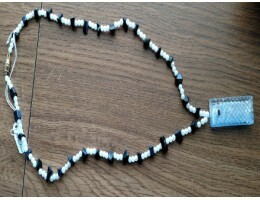 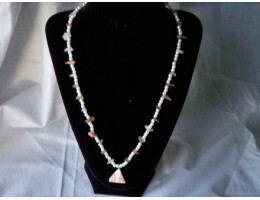 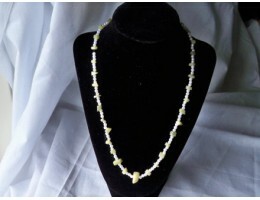 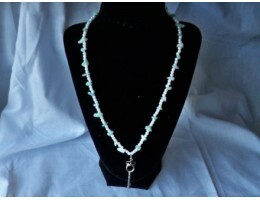 Here we have a beautiful necklace made from light jade chips, small pearls, and a medium-sized jade .. 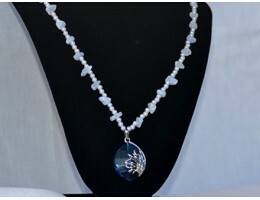 This delicate necklace is made from Lapis Lazuli gemstone chips and small white pearls with a silver..